Stocks added in Jan 2016 to my portfolio and plans for Feb 2016 with details of why I added Ashok Leyland heavily and how to capitalize the shocks Mr. Trump can give to Indian equity market. Stocks and mutual fund positions added in July 2016 to my portfolio which crosses 5Lakhs and plans for the August and beyond along with portfolio performance. Stocks and mutual fund positions added to wealth building portfolio in June 2016 and plans for the upcoming month along with portfolio performance and lessons learned. 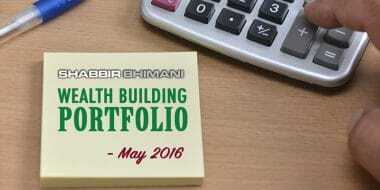 Stocks and mutual fund positions added to wealth building portfolio in May 2016 and plans for the upcoming month along with portfolio performance and lessons learned. Stocks and mutual fund positions added to wealth building portfolio in April 2016 and plans for the upcoming month along with portfolio performance and lessons learned. Stocks and mutual fund positions added to wealth building portfolio in March 2016 and plans for the upcoming month along with portfolio performance and lessons learned. Stocks and mutual fund positions added to wealth building portfolio, plans for the upcoming month along with portfolio performance and lessons learned. 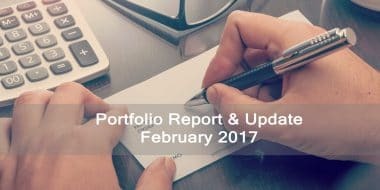 Stocks added to wealth building portfolio and plans for the coming month along with progress report, updates and lesson learned. This is the first of the series of reports that I will share each month of the progress to wealth building portfolio including stocks purchased and why along with contract notes.